I had never been on a cruise before until this past winter vacation. I had zero ideas of how to prepare, what to expect and what is too much/what is too little. Aside from the anxiety I get anytime my children are around water, I thought this couldn’t be that bad (eye roll). Not knowing where to start, I went to the cruise’s website, and lucky for me, there was a suggested list of how to pack for the cruise. I don’t think the list was intended for moms who pack for their entire family. It was broad. I, naturally, tend to overpack. I’d rather be overprepared then have no options. Round of applause … I did okay! 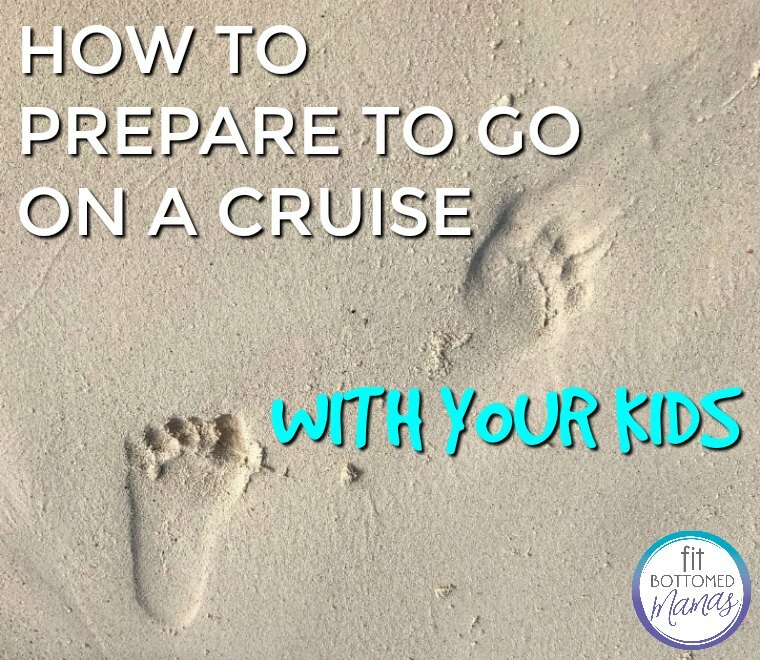 Now, I want to make sure you’re well prepared the next time you’re cruising with your babes! First off, I did not go with my husband. Yes, you read that correctly. I took our children on a nine-day cruise. Before you pass out, I met some of our family in Miami before boarding the ship, so I definitely had help and was in good hands. There is no way I would’ve gone without family in this scenario! Okay, now, lets really get to it. 1. Overpack! Yes, the rooms are small. Yes, space is minimal, but overpack. I tripled the underwear count for the kids. Here’s why — you’ll be changing two to three times a day. Swim clothes, to non-swim clothes, to evening dinner attire. We’re a fresh underwear kind of family. We like to change more than once a day. (Yes, I do a LOT of laundry.) But when traveling, you can never have too much. The one place I did not overpack on was sleep wear. Typically, my kids wear fresh pajamas overnight. This was a first for them, and the second night we had to have a LONG talk about why it is okay to re-wear the pajamas you wore the night before to bed. We were there nine days and I brought five to six pairs of pajamas. I also brought two pairs of swim shoes per kid. 2. Double-check your itinerary. Check the website and make a list of what you intend to do on and off the boat. This really helped me prepare for proper dressing. For example, our cruise had three formal evenings. I packed three formal gowns/dresses and then I had a little more casual dresses for the remaining evening dinners. I also packed dresses that were versatile, could be used for poolside or dressed up for dinner. Same for the kids — I did one suit for my son and mixed the tops, and for my daughter I borrowed dresses and used one we had from a wedding. When going off the island, I suggest packing a lightweight backpack or crossbody bag to carry your few essentials in. My carry-on for the plane was big, but I didn’t want to be schlepping that onto the islands. Both came in handy at different locations. They folded up nicely and didn’t take up too much room in my suitcase! 3. Tampons/pads. Pack it if you think or know you’re due. These necessities are ridiculously overpriced on the cruise ship. 4. Bring a lock for your suitcase. Have at least one to keep your valuables in and locked up. Someone is in your cabin every day, making it perfect and leaving cute towel animals. There are room safes, but I am a little less trusting of those. 5. Medicine. Pack with a purpose. Pain relievers for kids, allergy medicine, first-aid treatment things (small kit of your own personal treatments), etc. 6. Books, coloring books, entertainment. There is down time on the cruise. 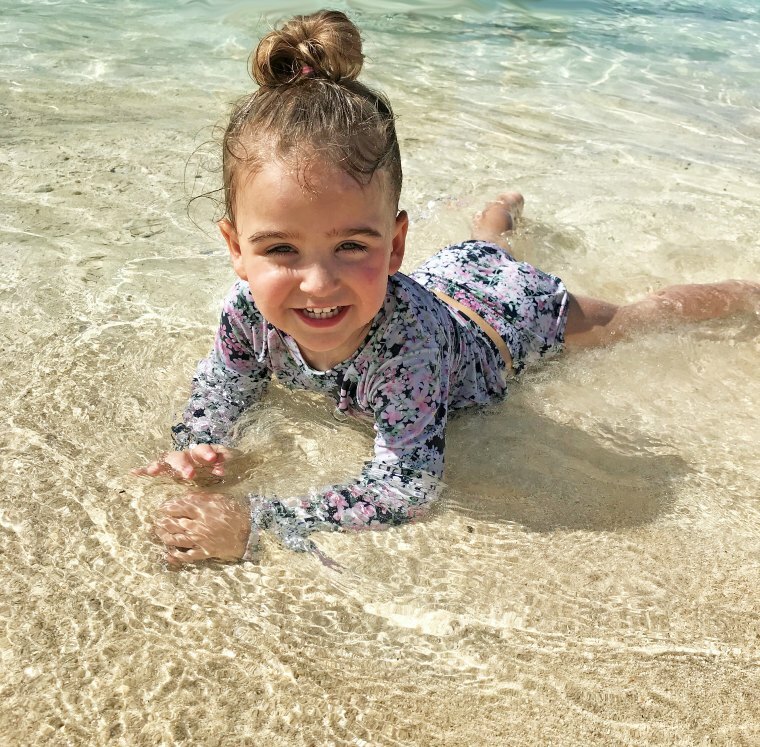 Plus you’ll want downtime with kiddos between activities and dinner/getting ready. I brought my son’s winter break fun work from his teachers as well other brain-engaging activities. For my daughter (2), I brought coloring books, and a blank paper pad, among a few things. I picked up quite a few things in the dollar bin at Target prior to the holiday season. 7. Tablets with headphones. Don’t fight it, just do it. You’ll thank me later. 8. Essential travel documents. I left the country without my husband and with our children, so I needed a notarized letter of Jake giving me permission to travel to our destinations without him. This is a simple document that’s online and easy for you to print out, fill in and have notarized. I also made a copy of my passport and the kids’ birth certificates. Check to see if your origin of travel requires passports for your kids or just birth certificates. We didn’t need a passport for the eastern Caribbean but everywhere and every ship differs! 9. Stroller/car seats. I have a friend who has a lightweight stroller. Mine are not convenient for traveling so I borrowed hers and I am so glad that I did! As far as cars eat, that is personal preference. I traveled with a car seat and booster to use for transportation to and from the airport. On the islands, as scary as it sounds, it’s not necessary. I held onto my kids tighter than I ever have before. Luckily, I was able to put the car seats in a closet at the bottom and hang clothes over. The stroller folded up so nice and compact, so I placed that under our beds as well when it wasn’t being used. Look into your transportation options prior to making the decision about car seats and boosters. Kids that still can benefit from a lightweight stroller when you’re going to islands to walk around or to bring to dinner for them to snooze in. 10. Know that you can do it. Take a deep breath, say a few namastes and just go!